In 2016, the 4th industrial revolution, represented by hyper-connected and hyper-intelligent technologies, began, and the global automobile industry is now focusing on the development of smart cars, such as driverless vehicles, connected vehicles, and electric vehicles. In particular, as electric vehicles with autonomous driving features are to be manufactured and sold, the precise prediction of driving distances has become more important. If the actual driving distance is shorter than the prediction of the available driving distance, the autonomous vehicle will stop on the way to its destination. Moreover, the route for electric vehicles should be determined by considering the location of charging stations and available driving distance. Existing studies about the expected driving distance do not appropriately reflect all of the various circumstances, components, and variables, thus restricting their predictive performance. 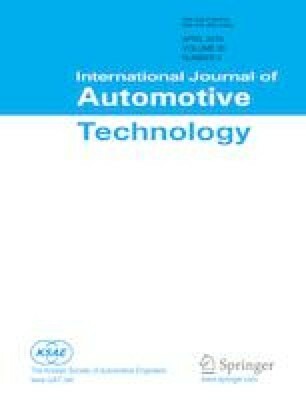 In particular, current methods do not precisely predict the running resistance of electric vehicles, or changes in driving distance caused by the use of electrical functions in such vehicles. Thus, a vehicle energy model for predicting the exact driving distance of an electric vehicle is described in this paper, considering the driving speed, road status, tire pressure, temperature, driving altitude, regenerative braking, and other factors. Finally, the proposed model for predicting the driving distance of electric vehicles was confirmed to be feasible by an in-vehicle test on real roads.